Our family traveled to the Beaches Resort at Turks and Caicos last month. 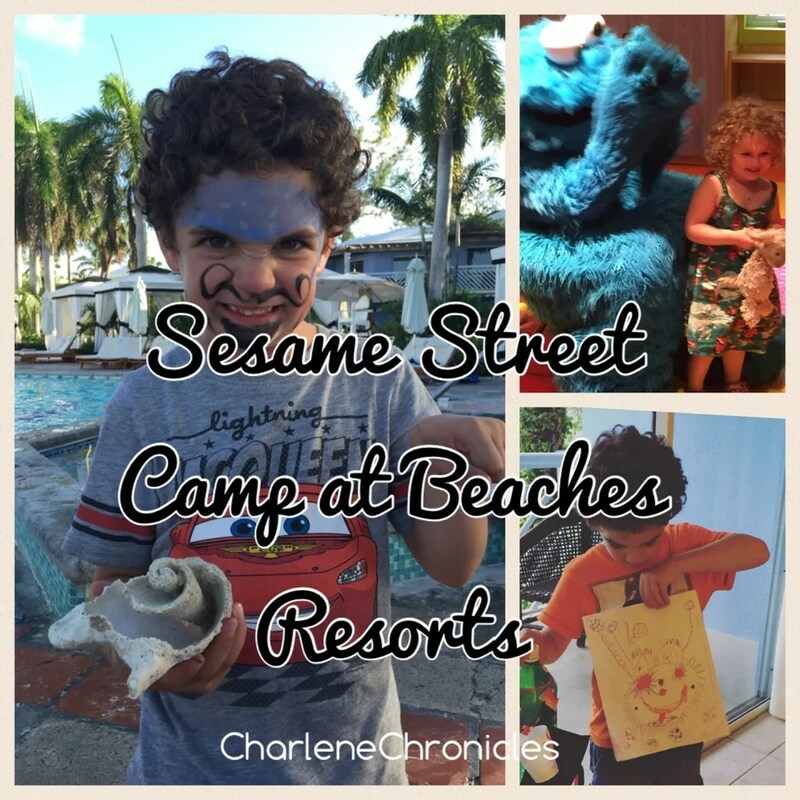 We were drawn to the family friendly options and the kid specific programs, like the Sesame Street Camp. 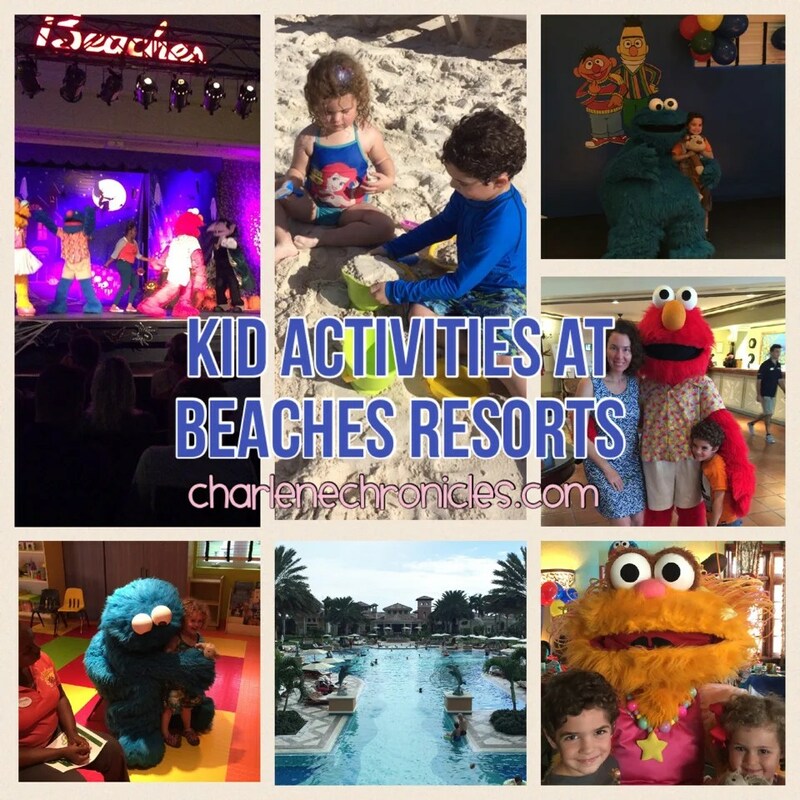 First, there were so many activities for the kids to do, outside of swimming in the many pools, there were water slides, splash zones, and the ocean. 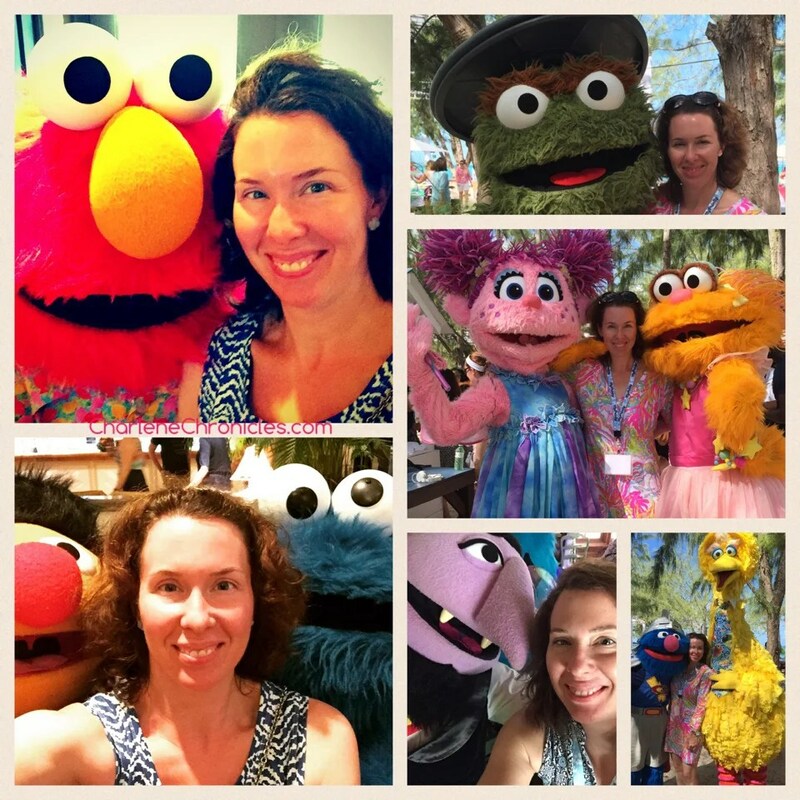 The Resort had parades, dance parties, shows, movie nights, and character appearances, making the Sesame Street characters easily accessible at various times and opportunities throughout our stay. There were also other kid activities like making cookies with Cookie Monster, making recycled art with Oscar, going on a bird watch with Big Bird or having a birthday party for Elmo, to name a few. Of course, there were pool tables, foose ball and air hockey tables, shuffle board, and an activity hut with board games. Lastly, there is a XBox club with opportunities for screen time. Whether sunny or rainy, there was definitely not a shortage of things for kids to do. My kids were 3 and 6 years old on our trip, and they both found lots of things to do. Both went to their respective kids camps a couple of times during our stay. There is a place for kids 0-1, 1-2 1/2, 3-4, and 5-7, and 8-10. For babies, they pretty much are just cared for but starting for the kids ages 1 to 2 1/2, they activities included playing with the on site toys, as well as supervised play in the dedicated kid camp pool, sand play, arts and crafts, sing-a-longs, and character visits. For the kids 3-4 years old, it is similar with more active activities added in. The rooms are separate so there is no worry about a 1 year old getting trampled by a 4 year old, but if you have a child that is 5 and not quite ready to be in the camp for the 5-7 year olds, or perhaps you want them to be closer to a younger sibling. In the camp for the 5-7 years olds, activities include pool games, water sports, fashion shows, science activities, sports and more. For the 8-10 year olds, there is the addition of basketball, volleyball, beach games, limbo lessons, swim relays, and more. For the older kids, there is club liquid, the scratch DJ academy, and daily activities that you can find in the nightly brochure that is brought to your room, such as soda bars, karaoke and other opportunities for like-aged kids to connect. For the most part, you can drop your kids off at any time. The hours are (at least, at the time of our stay) were 8:30-5pm, though you need to drop your kids off before 11am to get them settled before they go to lunch or after 1pm after the group gets back to lunch. It is not a published requirement but the caregivers informed us of the drop off times for the best acclimation for kids not staying the full day. Then the camp closes down from 5-6pm for staff cleaning/organization and it reopens again at 6pm and stays open until 10pm for nighttime activities like movies, dinner, pajama parties, and piñata parties. You do not have to make reservations and they don’t turn kids away, so you don’t have to worry about which days or times that your kids will (or won’t be in camp). You can go with the vacation flow, which is the best part of a vacation! Not being subject to schedules, right? All in all, when our kids went to the kids camp, they had more opportunities for play and activities like building sand castles or looking for shells, learning to snorkel, and playing with other kids. While they had fun learning and playing (my son loved “using his imagination” as he said), my husband and I got time to go sailing or scuba diving. Overall it made the vacation. As parents, we got down time, but we still got to vacation with our kids. Our kids got to do more things than just build sand castles for seven days. So if you’re looking for a vacation that is fun for everyone, then a Beaches vacation adds an element of versatility that can’t be beat. A Beaches Vacation is not inexpensive; a week in October for a family of four will cost you around $6,000. Or about $850 a day. That includes food for the entire family and if you ate a restaurant for each meal on a typical vacation, it would cost you around $150 a day or $1,050, while a hotel room would cost you about $400 a night in most big cities or $2800 for 7 nights. If you wanted childcare during your vacation, it would cost you at least $15 a hour or more for multiple children. Say that is 3 times during your vacation for eight hours, it would cost you $360. So far, a typical vacation would cost you $4,200 at a minimum. Add costs for rental cars or admission/activities fees, you would get over $5000 for your trip. So as you can see, a Beaches Resort vacation is not much more expensive than most vacations. But what the added element is that you are all on the same property, together but separate if you want, while you are wined and dined, don’t have to worry about credit cards, make lots of reservations, rent equipment, or have to juggle details of your vacation. You can just….vacation. And sometimes, that is priceless. Spend the time pursuing the website to see if it is the vacation for you – a once-in-a-lifetime or, as we have found, a yearly voyage to paradise.